Get a fast free quote or book a limousine and be on your way to a great trip. 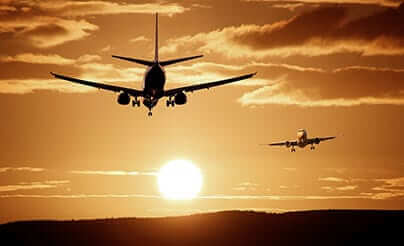 We provide a Quality Dependable Airport Transfer to Any Bay Area Airport. Your personal chauffeur are going to meet and greet you, attend to your baggage and drive you to your desired destination in air-conditioned comfort while you relax. We have long provided Bay’s most reliable, effective and professional luxury transport option for Airport Transfers.We aim to offer a comfortable, friendly and Professional Limo Service to Marin County customers. Because of our dedication, we have a car and a limousine driver to suit each and every need and every occasion. Regardless of whether you're after an airport limousine for stylish airport transport, or perhaps you want to hire a limo for a special event, our friendly limousine drivers will be on-hand to assist. Our goal is to make you feel as pampered and comfy for any event. When you hire a limo you know you will be hiring the best chauffeured cars in Bay Area. We certainly have a team of corporate chauffeurs to get you to your required destination in style.Airport Transfers are an important part of the trip. Use of your time is important in this day and age whether it be Company or Holiday travel. Let us help you make the most of your time by transferring you to and from the airport in comfort. No driving, No car parking & No worries. Why not allow us to fulfill your domestic and international clients for you. We can carry them in comfort and style to your sites giving you the professional edge on your competition.Getting a limo to the airport means you don't have to deal with the headaches of driving a car or car rentals yet again. We provide car hire solutions all over Bay Area to or from the Airport terminal, and also we provide drop-offs and pickups to all Bay Area lodges. Regardless of whether you’re traveling for company or pleasure, you will experience unmatched comfort and sophistication when you book with us. Pick from any of our sedans, limousines, coaches or others – no matter what works best for you! Corporate airport transfers, site trips, family, roadshows, leisure travel, and more – you name it, and we will take care of the rest. Our SUV Limo transfers are the epitome of class and style.We supply executive sedans limousines at extremely competitive prices. Our professionally qualified drivers work meticulously to provide you with the best chauffeured limousine service. Our booking agents are happy to offer you detailed information of the capabilities and spaciousness of our limousines.Our personnel & chauffeurs are highly skilled in handling a variety of VIP customers from Celebs to Government Officials and Foreign Dignitaries. As we customize our transfers as to best suit our customers' needs please fill out our easy enquiry form then one of our helpful staff will be connected shortly to provide you with a personalised price for your transfers.We're the premier San Francisco Bay Area Limousine and Car Service provider. We offer you the highest possible scored support service and fairest prices for our Company & Company charters. We are skilled professional chauffeurs that can help our VIP customers to excel and exceed the degree of success you shoot for. We am aware of the area and we understand luxury services. We are going to help you choose whether you should hire driver with the car for many hours or simply book point to point service. Our wedding car services include a red carpet grand entrance, full wedding decorations for the car, complimentary champagne (with all stretch limousine packages), and covers to keep the bride’s beautiful dress in immaculate condition. Drivers arrive on-time and in full suit and tie, photo ready! Service is accommodating to include photograph locations for the bridal party, reception areas, and particular routes you may want to follow. At the end of the evening, we can also arrange a vehicle to deliver the happy couple to the hotel or home, putting you in complete control over your entrances and exits throughout the day. Any lingering concerns you have regarding your special day will be put to rest once you begin working with our helpful and skilled wedding team. We are more than happy to liaise along and customize every aspect of our wedding car hire to match your financial allowance and choices. Our fleet of sedans and stretch limousines are at your disposal, or choose from one of our wide range to experience the height of luxurious travel. Coaches and buses are available as well for wedding group transportation! For years we certainly have been dependable to chauffeur brides & grooms in sophistication and style on their big day. Our staff knows the relevance of the little things. A dedicated wedding manager will be appointed to guarantee all your transport is looked after & timed perfectly for a truly worry free day. Fully flexible booking alternatives allows you to have the convenience & confidence of a luxury, billing transfer solution for your special day - without going over budget. We certainly have designed some packages for you to select from concerning your wedding day application form for your wedding day transfers. Our chauffeur driven winery trips are tailored to your own preferences. Your personal motorist will assure you are handled like a VIP as you sample wines from several of the top Valley wineries. We can cater for excursion groups of friends as small as two and operates a dedicated mini bus which could suit up to 18 passengers. To book or obtain a estimate for your next Winery Visit with good friends, loved ones, clients or colleagues select “Book Now’ or call us. We provide you with personalized and exclusive Napa wine tours to the impressive Napa valley at good prices. Our exceptional value sets us aside from other Napa wine tour companies. We’ll make your Napa wine tour one of the most pleasurable and unforgettable visits you’ll ever have. We also provide an array of cars accommodating between 1 to 18 people. They’re all new and immaculate, with luxurious black leather interiors, climate control, extended leg room and bottled water.